Ceramic Crafts | Lamps and Nursery Lamps | 10. Fairy House with tiled roof. Lamps and Nursery Lamps > 10. Fairy House with tiled roof. 10. 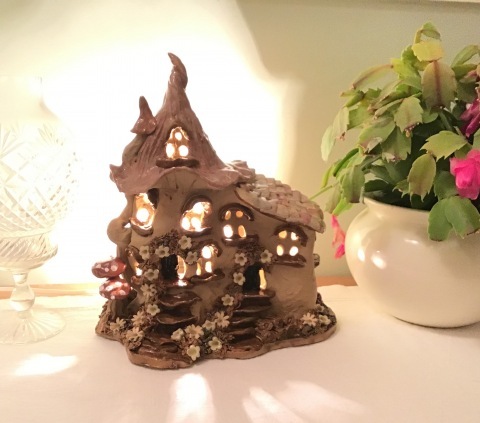 Fairy House with tiled roof. Measurements. 27 cm tall, 24 cm wide, 15 cm deep. THIS PARTICULAR LAMP IS AVAILABLE TO BUY STRAIGHT AWAY, however if you would like to order it in different colours please allow 3 weeks making time.